Ex-Hostage’s Wife Wants Laws Against Piracy Business ! New Delhi (UNI) – Indian authorities were urged today to enact clear laws– as well as enforce them– to regulate merchant seafaring, including hiring of sailors and allowing or requiring armed guard to protect vessels against pirates. ”Otherwise this piracy business will go on thriving,” Sampa Arya, whose husband Sandeep Arya was among Indian sailors aboard merchant vessel Suez released after a reported US$2.1 million payoff to Somali pirates, told journalists. The racket has grown 177 per cent in just one last year, Mrs Arya claimed, drawing presumably on internet data. She was accompanied by relatives of six Indian sailors in the captivity of Somali pirates aboard another merchant vessel called Iceberg. The seamen captive aboard MV Iceberg: Jaswinder Singh of Haryana, Dhiraj Tiwari, Ganesh Mohite and Swapnil Jadhav of Maharashtra, Santosh Yadav of Uttar Pradesh and Shah Ji Kumar Purshotanam of Kerala. Former Subedar Major Purshotam Tiwari said his son and five others from India were hostage for the past 16 months. He had sought the help of the Shipping, External Affairs, Home Affairs and Defence Ministries as well as the Chief Ministers of Maharashtra and Bihar. He had even drawn the attention of Lok Sabha Speaker Meira Kumar, Prime Minister Manmohan Singh and President Pratibha Patil, all without much avail. Mrs Arya criticised what she suggested was a ”passive” government approach to the issue of sailors taken hostage for ransom. The reported US$2.1 million came from MV Suez owner Abdul M Mathar of Egypt and a welfare trust run by former Pakistani Human Rights Minister Ansar Burney who also helped negotiate. ”It was with Ansar Burney’s help that we managed to negotiate with the pirates,” an Indian online outlet quoted Mathar as saying. Experts say Somalis have been targeting mostly ships flying Flags of Convenience, which typically have budget constraints, are ill-equipped, and thus easier to overwhelm. Merchant ship owners often register their vessels in a foreign sovereign State to reduce operating costs and avoid regulations in force in their own countries. The term Flag of Convenience in use over half a century pertains to the civil ensign a ship flies to indicate its country of registration under the laws of which it operates. The idea caught on and by the late 1960s Liberia surpassed Britain as the world’s largest shipping register. More than a dozen States currently operating ‘open registries’ are reported to have sub-standard regulations. More than half of the world’s merchant ships are registered under Flags of Convenience, with Panamanian, Liberian and Marshallese registries accounting for almost 40 per cent of the world fleet in deadweight tonnage. A key criticism of the system is it lets shipowners be legally anonymous and difficult to prosecute in civil and criminal actions. Such ships are also alleged to be engaged in crime ranging from illegal fishing to terrorism, offer substandard wages and working conditions and targeted for special enforcement by countries they visit. But given the level of unemployment and state of regulation in developing countries such as India finding sailors is hardly a problem. 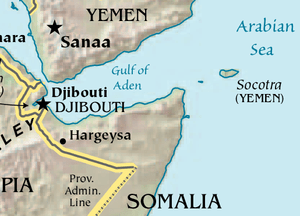 Complicating the situation over the past half a dozen years has been the Gulf of Aden, where a war-torn Somalia, without a functioning government since 1991, has turned into a hotbed of piracy. Article 101 of Law of the Sea convention 1982 defines piracy as any illegal act of violence or detention or depredation committed for private ends by the crew or passengers of a private ship on the high seas against another ship or persons or property on board such ship. But experts say it does not cover all cases of piracy. A former chairman of the Delhi branch of the Company of Master Mariners of India, Capt Gill sees piracy as an exigency that ought to be linked to insurance, since it is underwriters who must eventually make good any losses to vessels or cargo. Mariners interviewed say Somali activity has spawned a whole new mostly-Western industry for insuring vessels at risk with ever-increasing premiums. Far from being sea pirates hunting for victims, they sometimes seem well-informed about their potential targets to the point of knowing for instance the cargo on board and the exact number of hands a vessel set out with, seafarers say. Capt Gill who was present at the news conference said sailors in such captivity were often found to have taken employment through unlicensed agents. ”While the government may not be strictlly legally responsible for their employment they deserve basic humanitarian assistance as any citizen working abroad. ”Many victims or relatives,” Capt Gill said, ”do not know that the Director General, Shipping is statutorily entrusted to look out for Indian seamen in distress, irrespective of the source of their appointment, and must be persisted with. Mrs Arya stressed setting up a central agency to regulate seamen’s recruitment so as to help Indian aspirants steer clear of ships flying flags of convenience. Experts say India has Shipping Masters at various ports supervising employment of merchant seamen and officers, but the system has eroded over the decades to a point that many seamen now find work without referring to it. Holding Sailors To Ransom ! 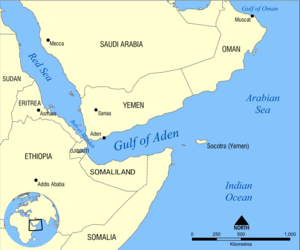 New Delhi (UNI) – Two years after India’s Supreme Court questioned government handling of high sea piracy involving Indian lives, protesters again drew attention this evening to the plight of seamen held hostage by Somalis in the Gulf of Aden. ”Kuchh nahin! Kuchh nahin! (nothing! nothing! ),” was how Sampa Arya, wife of an Indian hostage described Prime Minister Manmohan Singh’s response to her pleadings to intervene in the situation. An Egyptian cargo ship, Suez, was seized by pirates in the Gulf of Aden on August 2, 2010 despite barbed wire and fire hoses, not to mention three anti-piracy warships cruising within 40 miles. The Panamanian-flagged ship with a crew of 24– six of them Indian– was eastbound towards the Suez Canal. Wife of third officer Ravinder Singh Gulia, Mrs Arya broke down in a telephone interview when she was asked about any assurance she received from Dr Singh. Relatives and friends assembled at Jantar Mantar in the evening for a vigil discussed the passing deadline. The captors have demanded $4 million for release of the Indian hostages, they said. Their key concern: the Indian authorities put pressure on the Egyptian owners of the cargo ship to pay up and free the hostages. Barely a mile away, Parliament was told 49 ships were hijacked from international waters off the Indian Ocean in 2010 and that 38 Indian crew were still captive aboard four ships. Answering Congress member from Kerala P J Kurien, Shipping Minister G K Vasan recited such steps as deploying naval ships, alerting other forces in the region and waging a multilateral campaign. Three other ships Vasan listed: Iceberg-1 hijacked on March 29, 2010 with six Indian crew, Rak Afrikana, hijacked on April 11, 2010, with 11 Indian crew, and Asphalt Venture hijacked on September 29, 2010 with 15 Indian crew. Somali acts have threatened international shipping over the past several years but experts say efforts to counter the sea brigands appear to suffer in more ways than one. Mariners say Somali activity has spawned a whole new mostly-Western industry for insuring vessels at risk with ever-increasing premiums. 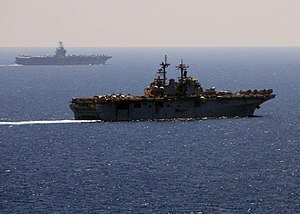 Seema Goyal, the wife of a former hostage, suggested the need to sanitise the Gulf of Aden– a suggestion echoed by several officers. Captains I Solanki, T K Dhingra, P Sarin, P K Mittal and I Kharbanda stressed a cordon to ensure that brigands cannot come out to attack.